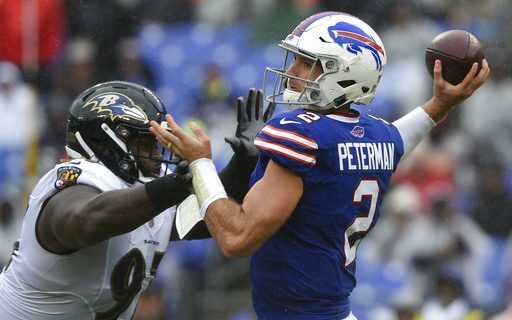 The Buffalo Bills went on the road to open the 2018 NFL season in Baltimore and the results were not what anyone connected with the Buffalo Bills would have wanted. The Bills lost to the Baltimore Ravens 47 – 3 in what had to be one of the worst opening day games in Bills history. Now with the Los Angeles Chargers coming to town for the home opener, what do the Bills do? First, as many of you know I have been a backer of quarterback Nathan Peterman since the day the Bills drafted him. I looked at every game he played during his two seasons at Pitt as well as the Senior Bowl practices and I felt that he was the 2017 Draft’s version of Kirk Cousins. Even after his disastrous first start at the Chargers, I still felt that he had the talent to become a winning quarterback in the NFL. After viewing Sunday’s game, I have to say I was wrong. Peterman does not have starting NFL talent and he might not even be a solid backup. That said, do the Bills have second thoughts for having traded A.J. McCarron to Oakland? That is something we will never know the answer to. As poorly as Peterman played, the fault does not just lie with him. No one on the offense played well. The line didn’t block, the receivers didn’t catch and the runners did run. Looking at the defense it was much the same. They couldn’t stop the run or the pass and the Baltimore offensive line dominated the line of scrimmage. It’s obvious to anyone who saw the game, the Bills have a lot of work to do before Sunday. The Bills already have made one lineup change, waiving defensive tackle Adolphus Washington and signing defensive end Nate Orchard, one of the star of this seasons “Hard Knocks” show on HBO. Orchard is an edge pass rusher with talent but he has been inconsistent his entire career. Maybe the change of scenery is what he needed. The Bills will now be shorthanded at defensive tackle but with most clubs playing sub 70% of the defensive plays, they may be able to get by with just three tackles for a few weeks. As I write this, the signing of Orchard is the only change that has been made, I look for maybe a few more before the week is over. Even if they don’t bring in any new faces, don’t be surprised to see some changes in the starting lineup. On the offensive line both guards have played poorly but there is only room to replace one right now. I would think that would be Vlad Ducasse. Ducasse has the size and athleticism every team is looking for at guard but he doesn’t play up to his measurables. He isn’t instinctive and blows too many assignments. The wide receiver position is maybe the weakest wide receiver group in the league. It is something the Bills may just have to live with as there isn’t much on the street. Kelvin Benjamin can be a dynamic possession receiver and a nightmare to cover given his size but he seldom pays up to his physical traits. It’s time for him to get it in gear. The other receivers the Bills have are “just guys” and I don’t think any of them could be better than a fourth receiver on most rosters. On defense, the acquisition of Star Lotulelei was supposed to make a strong interior line even stronger. To date that hasn’t happened. Outside the Bills just aren’t getting any pass rush. This is something the coaches have to try and fix this week. The secondary is a mess after giving up 260 yards to Joe Flacco and company. This unit was a strong point a year ago and there is only one player who is gone. Was E.J. Gaines that good? It’s time for this group to start playing like NFL caliber defensive backs. The Chargers are banged up and will be without their best defensive player in Joey Bosa. They will also be missing starting right tackle Joe Barksdale. Even though they are loaded with offensive talent at the skill positions, this is a game the Bills can and need to win. It’s up to both the players and coaches to be accountable for last week’s disaster and come back and play hard this week. 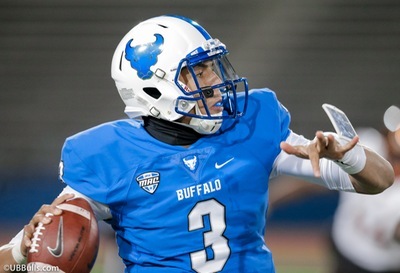 A year ago at this time, many in the national media felt the Bills were going to tank in order to get a quarterback in the 2018 draft. Well, they didn’t tank and they still were able to get their quarterback. After Sunday the tank job looks like it’s happening this year. If the Bills don’t come back strong this week, it’s going to be a long year.